The EUR/JPY has been consolidating for about two weeks, thus causing a short-term neutral bias on the market. This week, price would either move above the supply zone at 130.50, to help emphasize a bullish outlook, or it would go below the demand zone at 128.00 to help emphasize a bearish outlook. One of the two possibilities would materialize within the next several trading days. USD/JPY: In spite of bulls’ attempt to push this market upwards, the movement last week was generally bearish. The demand level at 110.50 is now being targeted (after price closed below the supply level at 111.00 on Friday). Once the demand level is breached, another demand level at 110.00 and 109.50 would be targeted. The outlook on JPY pairs for this week and for August is bearish. EURUSD, which has generally been bullish this year, went upwards by 100 pips last week, testing the resistance line at 1.1750. Some attempts were made to breach the resistance line to the upside, but to no avail. However, the resistance line remains under siege and it may be breached to the upside, as other resistance lines at 1.1800 and 1.1850 are targeted. The outlook on EUR pairs is bearish for this week, but bullish for August 2017; so we may see some considerable correction before the end of the week. Perpetual weakness in CHF has helped USDCHF to generate a clean bullish signal (most CHF pairs also skyrocketed while the CHF/JPY plummeted). Price gained about 250 pips last week, and it is currently volatile. The market would continue going upwards as long as CHF shows weakness. This is a classical example of when both USDCHF and EURUSD go into a positive correlation; i.e., they both go upwards. The USDCHF normally goes into opposite direction to EURUSD, but this time around, the case is being influenced by exponential weakness in CHF. 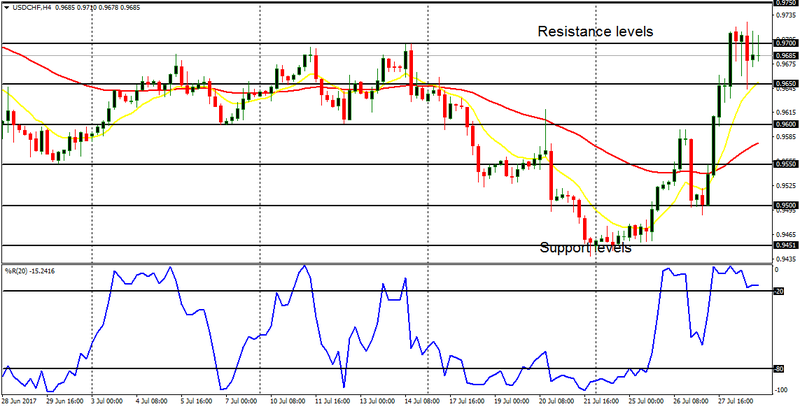 Price may go further upwards to test the resistance levels at 0.9750 and 0.9800. However, CHF would regain its losses, starting from this week and throughout August; something that would send CHF pairs (including USDCHF) southwards. GBPUSD was able to retain its bullishness last week, trying to go upward just like EURUSD has done, since both of them normally go into positive correlation. The distribution territory at 1.3150 was tested repeatedly last week, and it might be breached to the upside this week, as other distribution territories at 1.3200 and 1.3250 are aimed. Although GBP pairs would experience mixed results in August, GBPUSD would not really become bearish as long as it stays above the accumulation territory at 1.2850. In this market, this month has been bearish so far. Last week was also characterized by bearishness in spite of bull’s desperate effort to push price upwards, which made price tested the supply level at 112.00, before price went downwards to close below the demand level at 111.00. The next target is the demand level at 110.50, which would easily be breached as other demand levels at 110.00 and 109.50 are targeted. The outlook on JPY pairs is bearish for this week and for August. Therefore, long trades are not recommended. This currency trading instrument has been consolidating for about two weeks, resulting in short term neutrality. A movement above the supply zone at 130.50 would bring about a Bullish Confirmation Pattern in the market; while a movement below the demand zone at 128.00 would result in a bearish bias. This is what is expected to happen within the next several trading days. Nonetheless, bear would eventually become a winner in August. Campaign open between July 24, 2017 and July 20, 2018. Thus, in summer 2018 the lucky one will take the keys from stylish and city roomy sedan Hyundai Sonata. We offer Neteller at parallel market rates for those who open Instaforex.com accounts with us. That means you can fund or withdraw Neteller as often as you wish at parallel market rates, as long as you place at least, one trade per month. Buy at: N385/$. Sell at: 355/$. We’ll soon announce good news to our customers who use their Access Bank accounts to do business with us. Why? We use our Access Bank corporate account to do this business too, and we like the services. 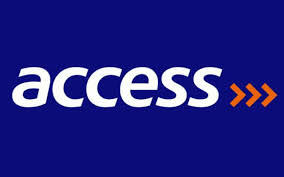 We believe that Access Bank has the best online customers support system in Nigeria. This is no flattery. So all our customers who use Access Bank would soon have a cause to be happy. We’ll announce surprise cash prizes, offers and promos to them, for their personal benefits. This would happen in a foreseeable future and by then, only our verified customers and VIPs would enjoy the benefits. DO WE HATE CUSTOMERS WHO USE OTHER BANKS? We’ll forever appreciate all our customers, no matter the banks they use. We’ve done some promos for every verified customer before and we’ll do them again soon. As you probably know, there are promos that target those who withdraw Neteller only. There are promos that target those who transact in Perfect Money, Payeer and Epay. There’ll be promos that target those who fund with Neteller through us. Then, there’ll soon be a promo/offer for Access Bank customers. This isn’t discriminatory. We love all our customers! NB: Normally, sellers can ask us to pay into any bank accounts they want, and buyers can ask us to fund any Neteller accounts they want. However, a verified seller can’t change their Neteller account, which they registered with us (to avoid fraud), unless they come to our office in Lagos, to prove that they’re also the owner of the new Neteller account they want to withdraw from. Mobile Streams shares (LSE:MOS) are not currently attractive. In fact, the market has been caught in a protracted base, and a major breakout is imminent. The more protracted the base is, the more the chances of a major breakout when it does occur. This does not necessarily mean it would favor the bear. Price can go either way. 4 EMAs are used for this analysis and they are EMAs 10, 20, 50 and 100. The color that stands for each EMA is shown at the top left part of the chart. The 4 EMAs are now trying to slope upwards as price stays above the EMA 200 and 50. Very soon, buying pressure may increase and that may push price above the EMAs 10 and 20; thereby generating a bullish signal. The outlook on Mobile Streams is bullish and an ugly market may soon become a pretty market. Ascent Resources stock (LSE:AST) is now a “buy.” The indication in the market has revealed the bull’s intent in pushing price northwards. Price has already gone above the upper Trendline and the RSI period 14 is now into the level 70. That reveals a strong buying pressure in the market. While there might be temporary reversals, further bullish movements are anticipated. Ascent Resources stock is expected to keep on journeying upwards, reaching the resistance levels at 2.500, 3.000 and 3.500, within the next several months. NETELLER: I registered on your website but I’m yet to be verified. Why? I registered on your website but I’m yet to be verified. Why? A). Your passport photo. You can also take a picture of yourself with your smartphone. B). Your international passport OR driver’s license OR national ID card OR voter’s card. The documents could be in Jpeg or PDF formats – standard and with good resolution. 1. You uploaded your documents with other formats other than Jpeg and/or PDF. If you do this, the documents won’t show and we won’t be able to verify you. 2. You uploaded ONLY your photo/picture in the 2 areas provided. We can’t verify someone who uploaded only pictures without any ID or license or PCV. If you can’t upload your ID, then please send it to us as an attachment, via email. We’ll then update you. 3. You uploaded only your ID or license or PVC, but without a separate picture of yourself. We can’t verify someone who uploaded only a means of identification, without a separate picture. If you can’t upload your picture, then please send it to us as an attachment, via email. We’ll then update you. 4. Your documents and picture are OK and accepted; but you don’t reply to an email message we sent to you. We also make sure that you’re the owner of the email address/Neteller account number you register on our website. That’s why we sent a message to you so that you can reply via that email. If you can’t reply. That means you’re not the owner of the email, and we can’t verify you. Will Unverified Sellers Go Somewhere Else? We need to know who’s withdrawing Neteller through us. We need to be sure that they’re the owner of the account used to transfer Neteller to us. Without this, we can’t accept Neteller from a third party, and those who change their Neteller account get suspended from using our services. If someone transfers Neteller to us without verification by us, the funds would be transferred back to them, while they bear the cost of the transfer. We do this as quickly as we can. We’re doing this business to survive in the long run and to provide quality services to those who earn Neteller through legitimate means, We’re not here to accept stolen funds from scammers. Those who don’t want to get verified or who think verification is a long process, can go somewhere else. After all, if we get banned by Neteller, they’ll go somewhere else. We want to survive in order to serve legitimate Neteller customers for as long as possible. We want to create value for our business by making sure that we do exactly what Neteller stipulates. WE’D SOON ANNOUNCE SURPRISE PROMOS FOR ALL OUR VERIFIED NETELLER USERS/CUSTOMERS. NB: You don’t need to get verified before you can sell Perfect Money, Payeer and Epay to us. Verification is mandatory ONLY for Neteller sellers. It’s also not mandatory for Neteller buyers. The USD/CHF went south by 180 pips last week, having lost about 620 pips since May 11. 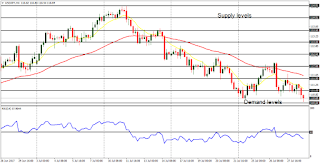 There is a huge Bearish Confirmation Pattern in the chart and further downwards movement could be seen, as price goes towards the support levels at 0.9400, 0.9350 and 0.9300. On the hand, there could be a meaningful rally when USD gains stamina. EUR/USD: On the EUR/USD, bulls are the clear winners this week. Price has already gone above the multi-month high at 1.1600, and it closed above the support line at 1.1650 on Friday. There could be further bullish movement this week, for the resistance lines at 1.1700, 1.1750 and 1.1800 could be tested this week. It should also be borne in mind that the further the market goes upwards, the more the chances of a significant pullback. USD/CHF: The USD/CHF went south by 180 pips last week, having lost about 620 pips since May 11. 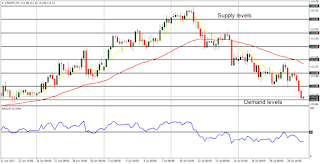 There is a huge Bearish Confirmation Pattern in the chart and further downwards movement could be seen, as price goes towards the support levels at 0.9400, 0.9350 and 0.9300. On the hand, there could be a meaningful rally when USD gains stamina. GBP/USD: The Cable is neutral in the short-term, and bullish in the long-term. A movement above the distribution territory at 1.3150 would strengthen the recent bullish bias; a movement below the accumulation territory at 1.2800 would result in a bearish bias. A movement between the distribution territory at 1.3050 and the accumulation territory at 1.2950 would result in further neutrality. USD/JPY: The USD/JPY lost about 140 pips last week, testing the demand level at 111.00. Since July 11, price has lost about 310 pips, leading to a Bearish Confirmation Pattern in the market. The demand levels at 111.00, 110.50 and 109.50 should be tested this week, owing to a strong bearish outlook on JPY pairs this week. EUR/JPY: This cross has held out its bullishness so far. The market consolidated last week, and it can go further upwards from here, reaching the supply zones at 130.50 and 131.00. One reason the cross is able to remain bullish till now is the strength in the EUR itself; and things would begin to drop once the EUR loses strength. There is a possibility of a bearish reversal before the end of the month. On EURUSD, bull was the clear winner last week. Price went upwards by 210 pips, breaking the multi-month high at 1.1600 and closing above the support line at 1.1650. Since June 27, price has gained 470 pips, and there is still more room for upwards movement, for price could reach the resistance lines at 1.1700, 1.1750 and 1.1800 this week. Nevertheless, it should be noted that, the more the market goes upwards, the more the chances of a reversal (which could happen before the end of the month). This pair went down about 200 pips last week, making bear the clear winner. Since May 12, the market has gone down by more than 600 pips, leading to a huge Bearish Confirmation Pattern in the market. 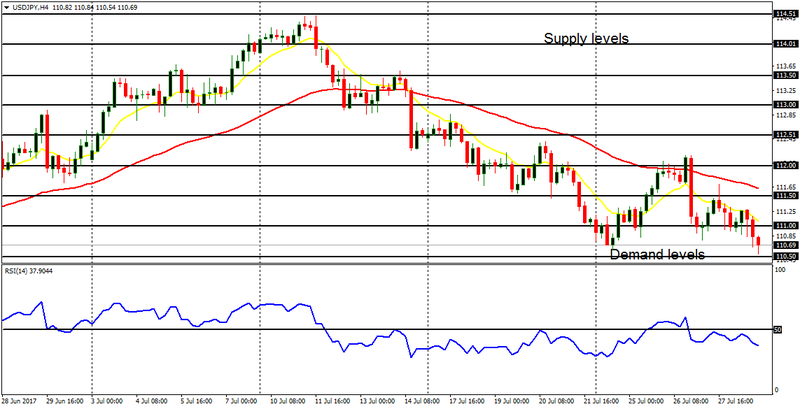 On Friday, price went briefly below the support level at 0.9450, and later closed above it. 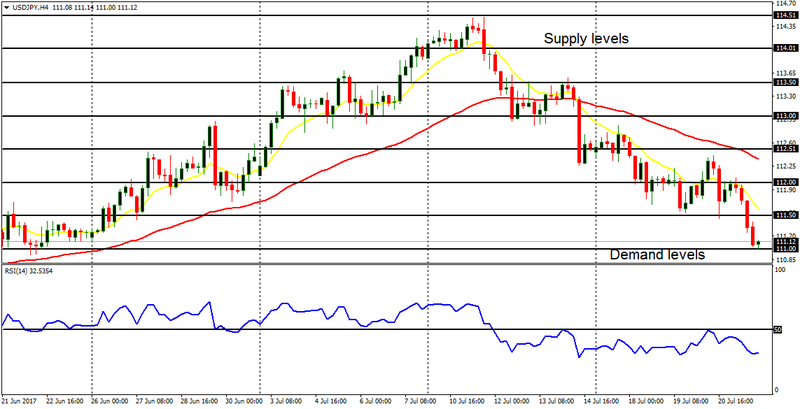 This week, further downwards movement is expected and the support levels at 0.9450, 0.9400, and 0.9350 could be tried. In case USD gains a considerable amount of stamina, there would be an upwards bounce in the market. Cable is bullish in the long-term, but neutral in the short-term. 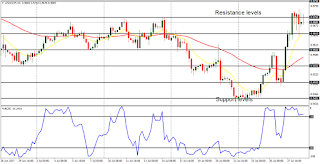 Price tested the distribution territory at 1.3100, and then began to be corrected downwards last week, reaching the accumulation territory at 1.2950. A movement above the distribution territory at 1.1300 would help restore the bullish confident; while a movement below the accumulation territory at 1.2800 would result in a bearish bias. A movement between the distribution territory at 1.3050 and the accumulation territory at 1.2900 would keep the short-term neutrality in the market. There is a bearish signal on USDJPY. Price went southwards by 140 pips last week (having gown downwards by 330 pips since July 11). On Friday, the demand level at 111.00 was tested – it would be breached to the downside this week. Other bearish targets are located at the demand levels of 110.50, 110.00 and 109.50. There is a strong bearish outlook on JPY pairs this week, and therefore, long trades are not recommended on USDJPY. The bias on this cross is bullish, though price only consolidated last week. Further consolidation can result in a short-term neutrality. One reason why the bullish bias has held out so far is the stamina in EUR itself. This week, there are possibilities that the supply zones at 130.50 and 131.00 can be tested this week. On the other hand, there could be a strong pullback before the end of the week (or the month), owing to a bearish outlook on JPY pairs for the rest of the month. In the first part of the articles in this series, I revealed one great way to make money from Tallinex.com. My account is still profitable with that. I told you I would reveal the second method I use to make money from this great and reliable broker. It’s simple. I funded my Tallinex.com account with Neteller and opted to join their PAMM account program. 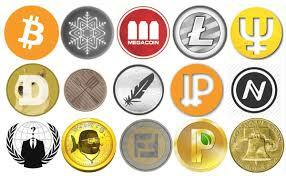 Some of them use proven trading systems. We offer Neteller at parallel market rates for those who open Tallinex.com accounts with us. That means you can fund or withdraw Neteller as often as you wish at parallel market rates, as long as you place at least, one trade per month. Buy at: N385/$. Sell at: 358/$. ITU GLOBAL: What is the meaning of ITU?